Yousef’s Circus will be continuing their event series with another showcase at Egg London on 16 April, following on the back of an apparent sold-out show at Liverpool’s Art’s Club in February. 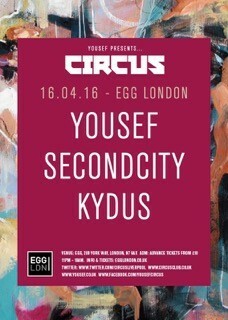 The event brings to town Circus boss Yousef alongside Secondcity and Kydus. The London venue has become as important and apparent to Circus as much as its Liverpool home with a roster of decent line-ups showcased under the Circus bill over the last few years. Making his Circus London debut, after his debut at Liverpool’s Arts Club last February, is Secondcity. Over the last few years, Secondcity has been inspired by influences from his upbringing on both sides of the Atlantic. Born in the UK and raised in Chicago, he’s set to bring his musical heritage from two different cultures to Egg. Making waves in 2014 with his ‘I Wanna Feel’ release on Ministry of Sound, this recognition also led to him producing a remix of Carl Cox’s ‘Time for House Music’ that was released on Circus in September 2014. He showed no signs of slowing down in 2015, gaining a residency for Tribal Sessions at Sankeys. 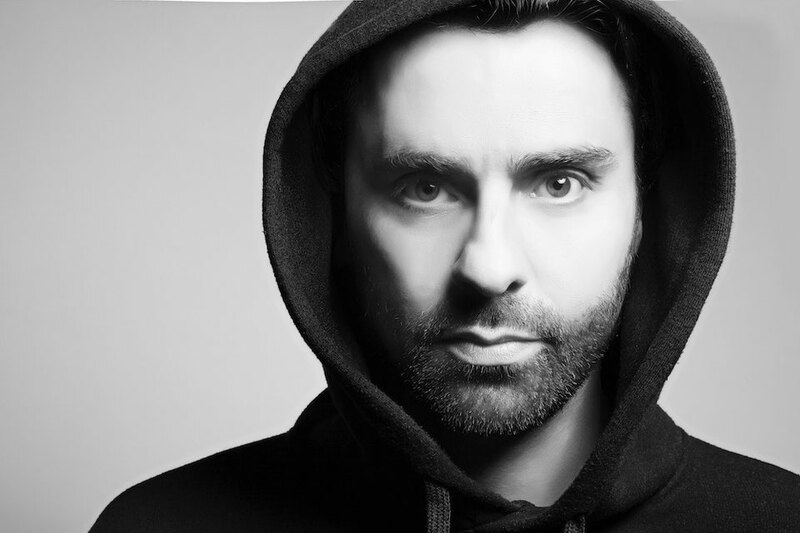 With his latest release, ‘Feel It’, on Saved Records, the development and maturity in Secondcity since his commercial success is evident, with new productions being immersed in a rhythmical and tribal tech-house feel that is synonymous with previous Circus guests such as John Digweed and Patrick Topping. Kydus returns to Egg London after his apparent sell-out debut in January alongside Popof and David Glass. The Liverpool native has formed a key part of the Circus label whilst building his name at these events, repaying the faith Yousef instilled in him back in 2013 with his track ‘We Get This Started’. The producer’s rise continued with his release, ‘Free Spirit EP’. His latest release, ‘Allure’, signifies his growing stature with a blend of brooding techno foundations flourished with a collage of chanting synths.